The article below appeared in the April 14th issue of Health with Perdana, a regular column in The Star by Perdana University faculty members. This week’s article is contributed by Pn. Nur Atiqah Azman, Lecturer at the Perdana University School of Occupational Therapy. Autism spectrum disorder (ASD) is a wide spectrum of dysfunctions and disabilities that affect individuals with different characteristics. This means that there is no two autistic children who are alike. 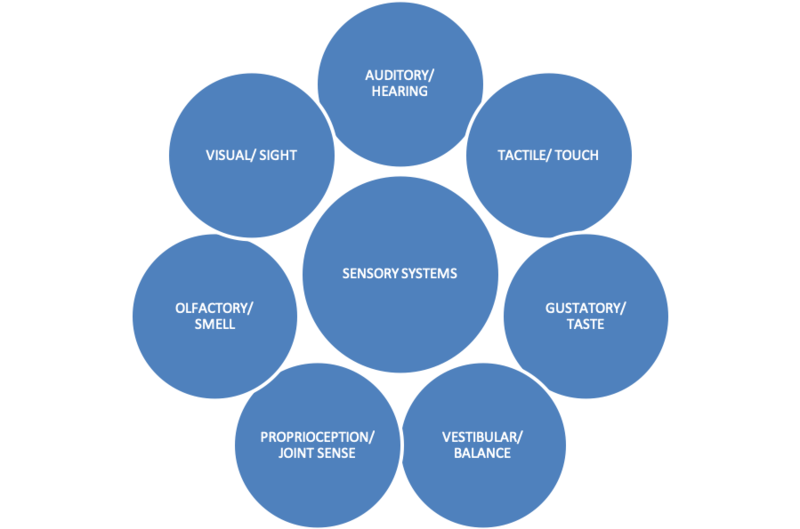 The complexity of this incidence is characterized by a dysfunction of the children’ssensory systems as well as communication and social skills, and their adaptive behaviour. Some children with ASD are born physically perfect. They seemed to have no physical limitation or dysfunction to indicate or diagnose that the child has ASD at birth. However, ASD symptoms appear as they grow older. They started being unresponsive to calls by 2, they don’t look at you in the eyes when talking or playing, not verbalizing and lacking body language, some are unaware of their own security and safety, while some presented with self-harm and awkward behaviour such as biting own hand, banging head on the wall, spinning, flapping hand repetitively, keep jumping and moving, and etc. This is when caregivers notice something is amiss with the child. The Ministry of Health conducted a feasibility study among children 18 to 36 months of age using the Modified Checklist for Autism in Toddlers (M–CHAT). It was indicated that the prevalence of ASD in Malaysia is approximately 1.6 cases in 1000 children. However, Autism Speaks, an international organisation that advocates on ASD cases worldwide, reported that the incidence of ASD is estimated to have increased from 1 case in every 68 children (in 2016) to 1 in every 59 children (in 2018). The rise of incidence is alarming and thus we should be concerned of the needs for early intervention programs in order to ensure functional and independence living of these children growing up. In light of this, the Ministry of Health has taken the initiative to provide early screening to detect ASD among younger aged children. This is essential to prompt early intervention program for the child, hence optimising their potential and promote independent living later on. 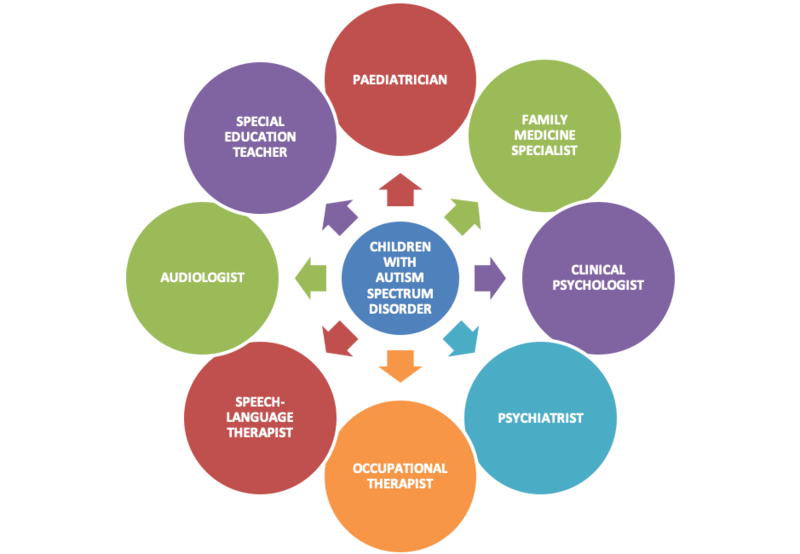 In general, ASD cases are managed by a multidisciplinary team of health professionals. One of them is an occupational therapist, who usually collaborates with a family medicine specialist, paediatrician, psychiatrist, clinical and educational psychologist, speech-language therapist, audiologist, special education teacher and other related professionals. . Occupational therapy offers habilitation programs, equipping the children with skills, which they may not have ever developed, and enabling a child with ASD to function independently. 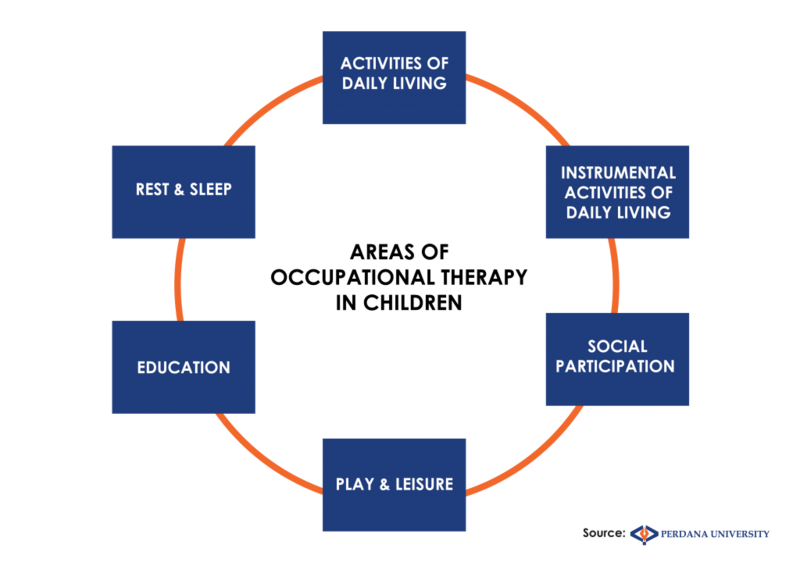 Occupational therapy practice highlights several areas of a child’s ‘occupations’ including daily living, school and play. As autistic children grow older, they have the potential to progress through various intervention sources provided by this multidisciplinary team. 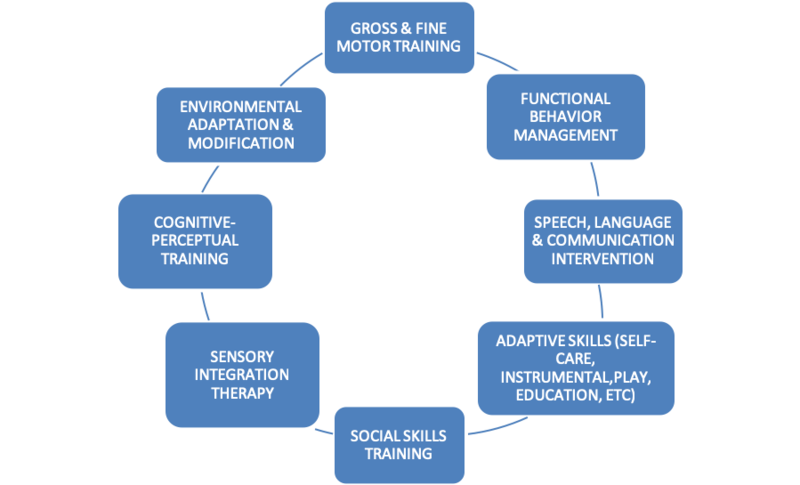 The occupational therapists offer various rehabilitation programs along the ages such as gross & fine motor training, functional behaviour management, speech, language & communication intervention, adaptive skills (self-care, instrumental, play, education, etc), social skills training, sensory integration therapy, cognitive-perceptual training, environmental adaptation and modification among others, which will allow the child to grow and develop, as well as adapt themselves and to function within the community. Autistic children can and are able to improve over time and have the potential to live as typical children. 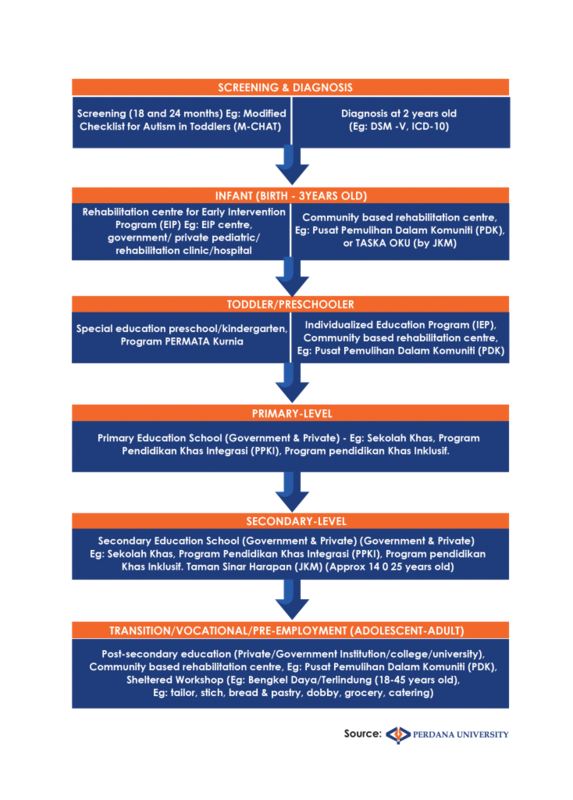 The government and private sector in Malaysia offer various opportunities for autistic children to further their studies. It begins with primary education, secondary education and extending to post-secondary education, as well as pre-employment and skills training during their teenage years. Along this journey, occupational therapists are responsible for analysing and assisting their abilities, assets and strengths in order to be enrolled into pre-employment following their interest. It can be concluded that children with ASD are capable of success in life just like any other typical person through various platforms. They can be moulded according to their interest, values, and strengths in order to function optimally and be independence in their living.